Hedges are usually planted to define property boundaries and provide privacy or to give shelter from prevailing winds. They can be formal, such as clipped Buxus (box), Taxus (yew) and Fagus (beech) or informal with colourful foliage or flowers, like Viburnum or Crataegus (hawthorn). Conifers are also popular choices, and although Leyland cypress has a reputation for causing friction between neighbours, if kept under control it makes an effective hedge. A selection of hedges. Credit: RHS/John Trenholm. Evergreens make fine hedges and obviously the bonus is having shelter or privacy all year round. However, they do tend to take more maintenance and need to be pruned annually, ideally twice a year. Conifers are popular evergreen choices, but need to be pruned regularly as (with the exception of yew) neglected or overgrown conifer hedges cannot be restored. Deciduous plants also make fine hedges, and indeed a beech hedge over winter holding onto its brown leaves is very pretty. You won't get the same privacy with a deciduous hedge as you do with an evergreen. An advantage of a deciduous hedge is that it will filter wind in winter avoiding the damaging turbulence associated with dense evergreen hedges. 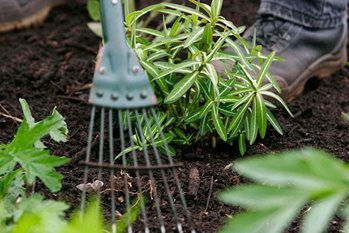 They are more forgiving with pruning, and although they should be trimmed in late summer, if you miss a year or two they will respond well to renovation. Buying hedging plants in bulk from specialist growers is generally cheaper than from retail outlets. Smaller transplants (also called whips) about 60cm (2ft) establish more rapidly than larger plants, which can often suffer from establishment problems especially during periods of extreme weather such as drought or excess moisture levels. But if you want to create a hedge quickly, buying semi-mature plants is the way to go. They are more expensive, and you will need to pay special attention to watering over the first two years. Numbers denote suggested spacings for planting in average conditions. In poor soils or difficult conditions, spacings may need to be slightly reduced. Also see our page on garden security. Also see our page on plants for shade. Also see our page on plants for clay soils. Also see our page on plants for chalky soils. Also see our page on trees for wet soils. Also see our page on plants for coastal locations. Also see our page on plants for a cold climate. Also see our page on trees and shrubs native to the UK.